Trauma; stress; resilience; assessment; treatment; aging; suicide; disasters and terrorism; violence; vulnerable and underserved populations. Lisa M. Brown, Ph.D., ABPP is a tenured Professor, Director of the Trauma Program, Director of the Risk and Resilience Research Lab at Palo Alto University, and faculty advisor for the Association of Traumatic Stress Studies. Her clinical and research focus is on trauma and resilience, global mental health, aging, and vulnerable populations. As a researcher, she is actively involved in developing and evaluating mental health programs used nationally and internationally, crafting recommendations aimed at protecting individuals and communities during catastrophic events, facilitating participation of key stakeholders, and improving access to resources and services. 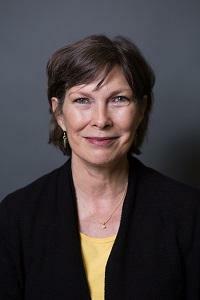 Dr. Brown’s current funded research is focused on developing a suicide assessment and treatment educational program for students at the Navajo Technical College and the development and evaluation of trauma and peace building interventions to reduce the likelihood of further escalation of conflict in Central African Republic. From 2007 to 2014, Dr. Brown served as the Assistant Clinical Director of Disaster Behavioral Health Services, Florida Department of Health where she helped write the state disaster behavioral health response plan, develop regional disaster behavioral health teams, and conduct program evaluations of SAMHSA and FEMA crisis counseling programs. From 2008 to 2011, Dr. Brown was appointed by the U.S. Department of Health and Human Services Secretary to the Disaster Mental Health Subcommittee of the National Biodefense Science Board Federal Advisory Committee, U.S. Department of Health and Human Services where she contributed to the development of a national behavioral health response to disasters, terrorism, and pandemics. Her research experience and collaborative relationships with first responder groups and long-term care organizations led to the development of the 2nd edition of the Psychological First Aid Field Guide for Nursing Home Residents. Dr. Brown is a Fellow of the American Psychological Association Division 20, Gerontological Society of America, and a Senior Fellow of the Palo Alto University Institute of Global Mental Health. She is the recipient of two Fulbright Specialist awards with the University of the West Indies, Mona, Jamaica (2014) and with Massey University, Palmerston North, New Zealand (2015). How to Help Staff and Residents Prepare, Respond, and Recover from Disasters. Michigan, Region 8 LTC Workshop (2016). Marquette, Michigan. Older Adults during Disasters: Facilitators and Barriers in Less and More Developed Countries (2017). 21st IAGG World Congress of Gerontology and Geriatrics. San Francisco, California. Disaster Literacy to Improve Preparedness of Older Adults (2016). International Federation on Ageing 13th Global Conference on Ageing. Brisbane, Australia. Post Sendai: Engaging and Enlisting Older People in Sustainable Development and Disaster Risk Reduction at the Local Level (2016). International Federation on Ageing 13th Global Conference on Ageing. Brisbane, Australia. Reducing Risk and Enhancing Resilience of Older Adults during Disasters: The Growing and Evolving Role of Psychologists (2014). 28th International Congress of Applied Psychology, Paris, France. Barks*, L., Garvan, C., Crane, B., Peterson, M., Brown, L.M., & Powell-Cope, G. (in press). Reliability and criterion-related validity of the Seated Posture Scale. Rehabilitation Nursing Journal.